The Union Cabinet today approved the proposal of the Ministry of Information and Broadcasting for bringing out a comprehensive regulatory framework in the form of guidelines for Television Rating Agencies in India. These guidelines cover detailed procedures for registration of rating agencies, eligibility norms, terms and conditions of registration, cross-holdings, methodology for audience measurement, a complaint redressal mechanism, sale and use of ratings, audit, disclosure, reporting requirements and action on non-compliance of guidelines etc. The proposal is based on recommendations made by the Telecom Regulatory Authority of India (TRAI) on "Guidelines for Television Rating Agencies" dated 11th September, 2013. Based on the recommendations of TRAI, comprehensive policy guidelines for television rating agencies have been formulated. •	All rating agencies including the existing rating agencies shall obtain registration from the Ministry of Information and Broadcasting. •	Detailed registration procedure, eligibility norms, terms and conditions, cross-holding norms, period of registration, security conditions and other obligations have been delineated. •	No single company / legal entity either directly or through its associates or interconnect undertakings shall have substantial equity holding that is, 10 percent or more of paid up equity in both rating agencies and broadcasters/advertisers/advertising agencies. •	Ratings ought to be technology neutral and shall capture data across multiple viewing platforms viz. cable TV, Direct-to- Home (DTH), Terrestrial TV etc. •	Panel homes for audience measurement shall be drawn from the pool of households selected through an establishment survey. A minimum panel size of 20,000 to be implemented within six months of the guidelines coming into force. Thereafter the panel size shall be increased by 10,000 every year until it reaches the figure of 50,000. •	Secrecy and privacy of the panel homes must be maintained. 25 percent of panel homes shall be rotated every year. •	The rating agency shall submit the detailed methodology to the Government and also publish it on its website. •	The rating agency shall set up an effective complaint redressal system with a toll free number. •	The rating agency shall set up an internal audit mechanism to get its entire methodology/processes audited internally on quarterly basis and through an independent auditor annually. All audit reports to be put on the website of the rating agency. Government and TRAI reserve the right to audit the systems /procedures/mechanisms of the rating agency. •	Non-compliance of guidelines on cross-holding, methodology, secrecy, privacy, audit, public disclosure and reporting requirements shall lead to forfeiture of two bank guarantees worth Rs. one crore furnished by the company in the first instance, and, in the second instance shall lead to cancellation of registration. For violation of other provisions of the guidelines, the action shall be forfeiture of bank guarantee of Rs. 25 lakh for the first instance of non-compliance, forfeiture of bank guarantee of Rs.75 lakh for the second instance of non compliance and for the third instance, cancellation of registration. •	30 days time would be given to the existing rating agency to comply with the guidelines. •	The guidelines would come into effect immediately from the date of notification. The Guidelines for Television Rating Agencies in India are designed to address aberrations in the existing television rating system. These guidelines are aimed at making television ratings transparent, credible and accountable. The agencies operating in this field have to comply with directions relating to public disclosure, third party audit of their mechanisms and transparency in the methodologies adopted. This would help make rating agencies accountable to stakeholders such as the Government, broadcasters, advertisers, advertising agencies and above all the people. Television Rating Points (TRPs) have been a much debated issue in India since the present system of TRPs is riddled with several maladies such as small sample size which is not representative, lack of transparency, lack of reliability and credibility of data etc. Shortcomings in the present rating system have been highlighted by key stakeholders that include individuals, consumer groups, government, broadcasters, advertisers, and advertising agencies etc. Members of Standing Committee on Information Technology had also expressed concern over the shortcomings. 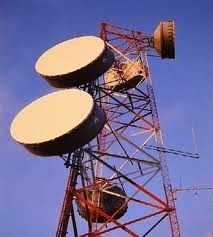 In 2008, the Ministry of Information & Broadcasting (MIB) had sought recommendations of TRAI on various issues relating to TRPs and policy guidelines to be adopted for rating agencies. TRAI, in its recommendations in August 2008, had amongst other things recommended the approach of self-regulation through the establishment of an industry-led body, that is the Broadcast Audience Research Council (BARC). The Ministry had constituted a Committee under the Chairmanship of Dr. Amit Mitra, the then Secretary General FICCI, in 2010 to review the existing TRP system In India. The committee also recommended that self-regulation of TRPs by the industry was the best way forward. Since, the BARC could not operationalise the TRP generating mechanism, the Ministry of Information & Broadcasting sought recommendations of TRAI in September 2013 on comprehensive guidelines/accreditation mechanism for television rating agencies in India to ensure fair competition, better standards and quality of services by television rating agencies. TRAI recommendations on Guideline for Television Rating Agencies were received in September 2013. While supporting self-regulation of television ratings through an industry-led body like BARC, TRAI recommended that television rating agencies shall be regulated through a framework in the form of guidelines to be notified by MIB. It also recommended that all rating agencies, including the existing rating agency, shall require registration with MIB in accordance with the terms and conditions prescribed under the guidelines.